Lesson Tools - (EPT) Excellence Private Training Sign up online today! PaSTOR D sign up today for private training (In-Home). We provide piano, guitar, bass, keyboard sequencing, voice, song writing lessons. Also audio & video production graphic design, website designing and ministry preparation & bible training. You may share Pastor D's computer during your lessons. It would far better to bring your own laptop computer or work towards purchasing your own. Music training usually stretch over a very long period of time. For this reason, having the exact proper lesson materials is crucial. 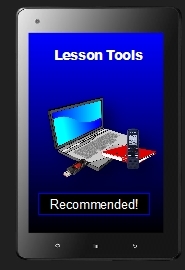 Your lesson tools will be subject to weekly ware and tare. Do buy all the requested lesson tools! This hands-on class teaches you how to create a video for social media (YouTube) for family and friends, or for a full-length feature film. Singing, like all other gifts, can be learned and improved thru training. If indeed you are interested in ‘Tune Up” voice training, create a list of songs that you hope to sing. Although some items may be temporarily out of stock, use discretion and search for an equivalent similar item that does exactly the same thing as the requested item. Learn how to prepare for the Ministry, create effective sermon outlines, and speech techniques. learn hot to record sermons and create assorted Christian literature.